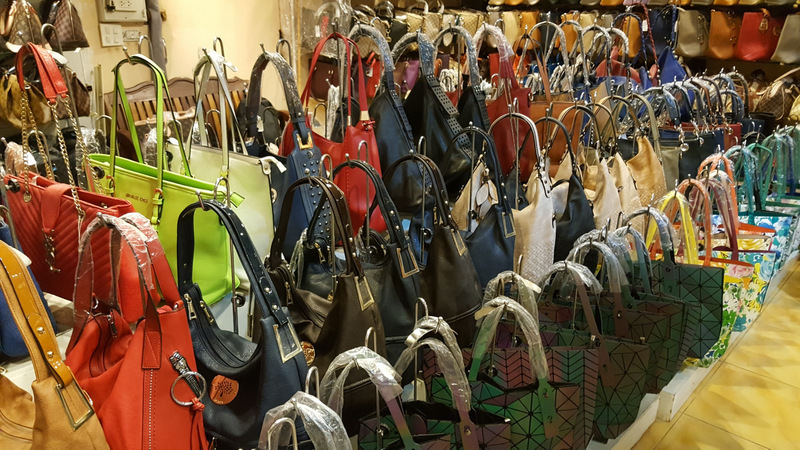 PHUKET: A raid on a locked stall in SB Plaza in Patong yesterday (June 21) uncovered a stash of counterfeit bags that police estimate were worth “many hundreds of thousands of baht”. 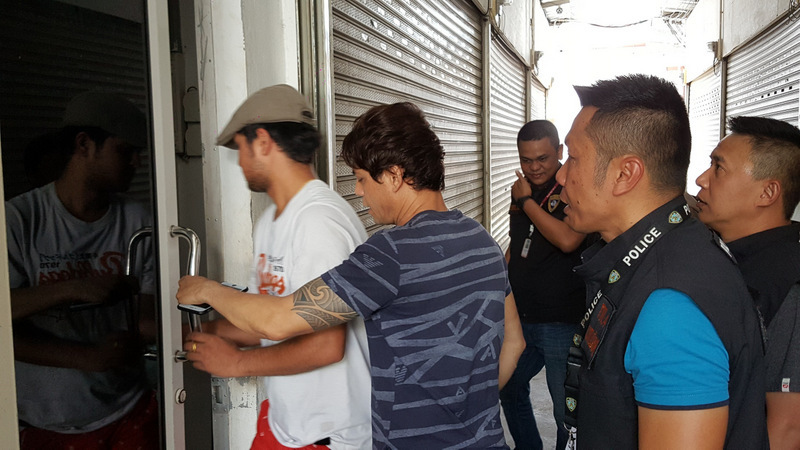 The raid, led by Maj Gen Piyapan Pingmuang, chief of the Royal Thai Police Economic Crime Suppression Division (ECD), was carried out at 1:30pm with officers from Patong Police Station present. Officers arrived at the scene armed with a search warrant issued by Phuket Provincial Court after receiving a tip-off from an undercover officer, police said. 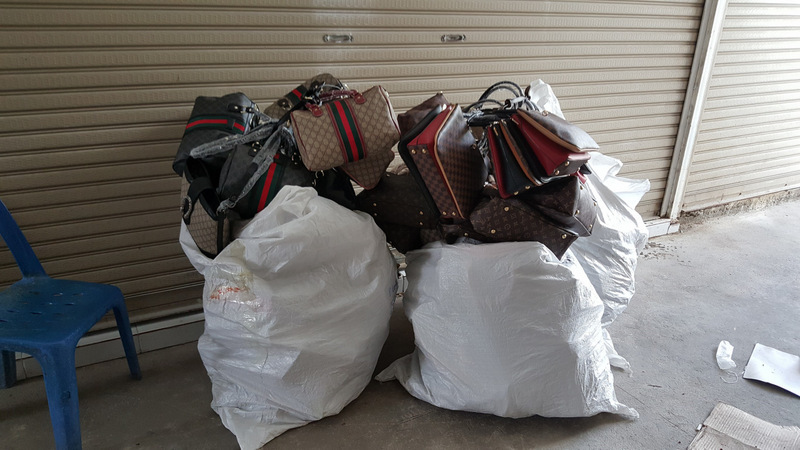 In the locked unit at the plaza the offices found hundreds of counterfeit brand-name bags, ranging from handbags to travel bags and backpacks as well as a fine collection of fake brand-name purses. The officers arrested a man who they named only as “Bobby Giri”, age and nationality not reported, as the apparent “owner” of the goods. 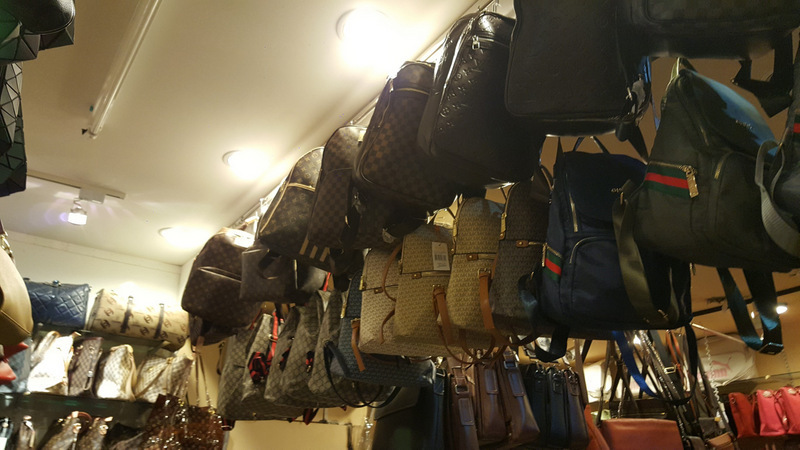 “Mr Bobby” was taken for questioning and later charged for selling counterfeit goods. 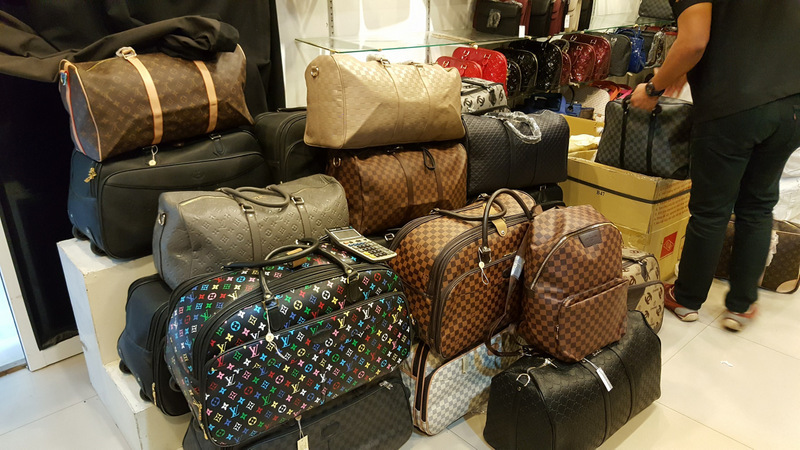 During questioning Mr Bobby apparently told police that he used to sell fake brand-name goods in the popular tourist area of Khao Lak, in Phang Nga Province north of Phuket, but later moved to Patong to continue his illicit trade. 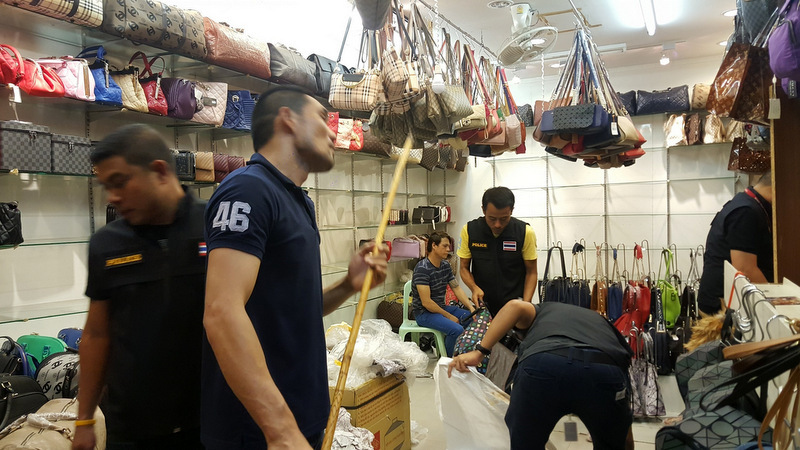 Gen Piyapan explained that Patong was well known as a “hot zone” for counterfeit merchandise and that the raid followed an undercover operation by officers. However, the raid yesterday targetted only one stall. Regardless, Gen Piyapan said that the campaign by his officers had led to many similar raids in other areas, details of which he is to announce from Bangkok either today (June 22). 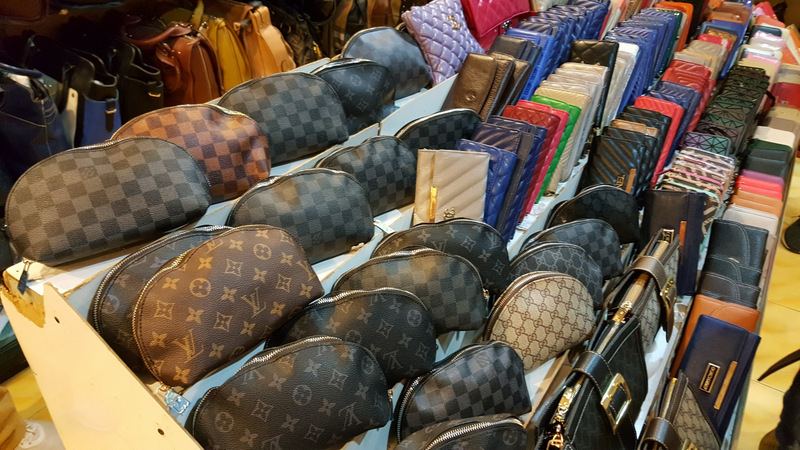 Every shop in Patong has counterfeits of one sort or another. The only one that got raided was because of a lack of tea money. 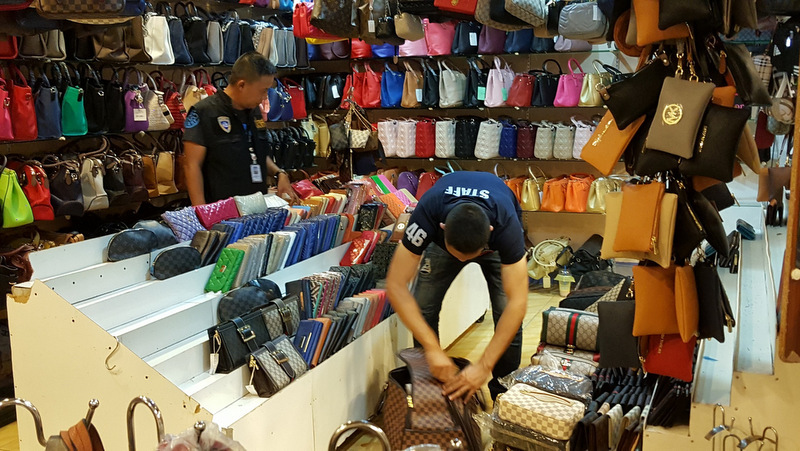 Patong is well known as a hot zone for counterfeit merchandise, but once in a blue moon just 1 or a few shop raids only. It is just a warning/reminder for the hundreds of other shops not to forget to pay their protection money. Why otherwise is a Bangkok police unit, including a general, all the way coming to Patong-Phuket, just for 1 shop raid? So funny, and obvious. How is MBK in BKK doing? Has it ever been raided for fakes?